This image has not been edited in any way. As much as the anarchist-feminist in me will hate this next sentence, I’m going to say it anyway: I love my iPhone. I never used to understand the fascination with getting high-tech phones, and from a young age I only ever used my mobile phones for phoning, texting, and playing Snake (oh yes, I’m not ashamed to admit it). Even when phones started adding a camera function, I still preferred to use a decent-quality camera rather than the crappy low-quality phone camera. But when I got an iPhone last Christmas (only because I needed a new phone and a new iPod, so it made sense to combine the two), I fell in love with it instantly. So here is a short, fluffy post about my top ten iPhone apps. Enjoy! Expensive, but totally worth it! This app allows you to read all articles published in the Guardian, search articles from as far back as 2006, save favourite articles and sections, share them on Twitter and Facebook, and choose certain sections to be available for offline reading. With a lovely sleek design, it’s a great app, and one of the most-used apps on my iPhone. A Google Reader client that allows you to read entries on the go. It’s the concept that I love, rather than any exciting features in the app – I follow lots of feminist blogs such as Feministing that have frequent updates, so this is a great way for me to keep on top of my unread items. Comes with the option to open entries in Safari, copy links, and share entries on Twitter. There are lots of free Twitter apps but this one is my personal favourite. The layout is simple and user-friendly, with lots of great features, including: a unified display for replies, re-tweets, direct messages, and mentions; a search function; the option to follow, unfollow, and block accounts easily; and helpful actions for tweets such as re-tweet, link shortening, adding photos, email, and tweet translator. It’s also very good at updating without being connected to a wireless network. Since downloading a Twitter app, my tweets have quadrupled! 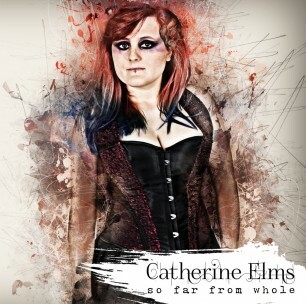 Don’t forget to follow me @catherineelms! Okay, so technically this app is designed for school/college users, but I find it’s great for keeping track of university work too. Add courses, timetabled lectures, individual assignments, reminders and deadlines. You can view assignments by day, week, or course, then check them off once you’ve turned them in, and monitor your progress by tapping in your marks. You can also add your teacher’s contact information, although I’ve never used that function. A really useful and easy-to-use app. This is my favourite soundboard by far (I downloaded the free ‘Stepbrothers’ and Samuel L. Jackson soundboards, but they didn’t come close to this one). And before you ask, yes, I have conducted a phone conversation with Hank using only sounds from this app. He loves it. Does what it says on the tin really. It’s just a mobile version of the IMDB website, with all the features from the site in a sleek, clean design. The only downside is that you can’t log in to vote or write a review, and you can’t access the forums (although I never use them anyway). Otherwise perfect! There are a few different xkcd apps, but this one by Josh Snyder is the best, as it features navigation buttons such as “random”, “next comic” and “previous comic”, whereas with the others you can only view one at a time. Shame there isn’t an option to save your favourite comics, but other than that it’s great. This app is just a nice, user-friendly way of browsing Wikipedia entries, and is much nicer to use than the standard “Wikipedia” app. It stores your history, lets you bookmark entries and sections within entries, open pages in Safari, email links to pages, and adjust the font size of entries. I’m a total Wikipedia geek – I know I shouldn’t trust the content, but I like to use it as a starting point to read up about random things, like starfish. Did you know that some of them grow up to 2ft long, and have as many as 20 arms?! Yuck! Out of the many free bookreader apps, this is my favourite (with Stanza coming a close second). With over 50 classic books to choose from, including Jane Eyre, Little Women, Dracula, The Time Machine, and Alice’s Adventures in Wonderland. It has an attractive interface, and allows you to search for words and phrases within each book, adjust the font and text size, jump straight to any page number, and bookmark any page in the book. The collection isn’t as big or as diverse as other reader apps, but it’s very nice to use nevertheless. What a great app! Using the iPhone’s camera, it allows you to scan barcodes, and can tell you the name of the product and the price! This is very useful for when you’re in a shop looking at an item that has a barcode but no price sticker. So far I haven’t come across a barcode that it hasn’t recognised, but it’ll happen eventually. They could greatly improve the app by offering users a chance to see where they can buy the item, and perhaps show some competitive prices… but for a free app, it’s pretty damn good. Shazam – hold your iPhone near to a music source, and the app listens and tells you what track is playing! Period Tracker Lite – it allows you to track your period, and even tells you when you’re ovulating, and when your next period is due! How cool is that? Shakespeare – read the collected works of the bard for free. Bump – ‘bump’ two iPhones together to share data. Adobe Photoshop Express – very basic, but fun. Great list. I am an app fanatic. Some of those I already have but a few I hadn’t heard of and am going to download now. Thanks!